Please Note: this call point is no longer available; please see available conventional call points. 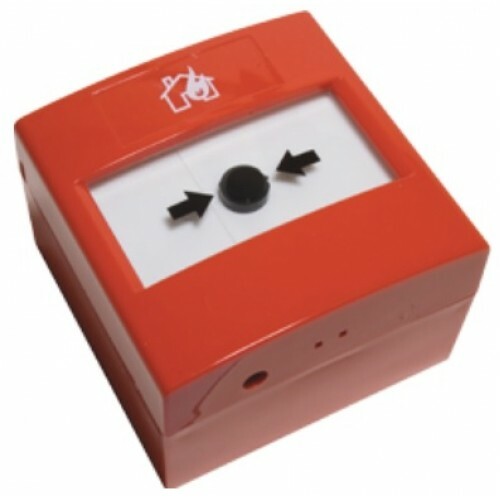 The 'ReSet' is a unique manual call point that mimics the feel of breaking glass whilst offering the user the benefits and environmental advantages of a re-settable operating element. The 'ReSet' uses a simple yet ingenious patented mechanism which consists of a rigid plastic operating element and an over centre spring mechanism. This arrangement provides real action on operation and simulates break glass activation. An activation indicator drops into view at the top of the window after the ‘ReSet’ has been operated. The unit is then simply reset with a key and is ready for re-use straight away.